​Mrs. 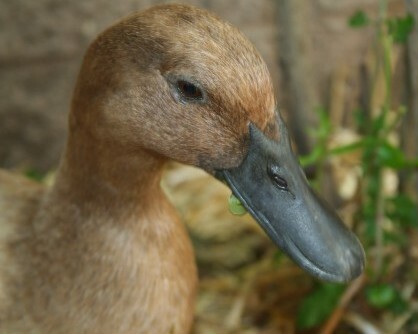 Adele Campbell of Gloucestershire, England developed this breed late in the 1800s with the intention of producing a simple utility breed to provide meat for her family, however, the result was a duck with phenomenal laying ability (and while they are not usually raised for meat, Campbell ducks can make high quality, lean roasters). In a later attempt to create a duck with buff colored feathers, as buff was a fad at the time, Mrs. Campbell mated her original Campbell’s back to Penciled Runner ducks. 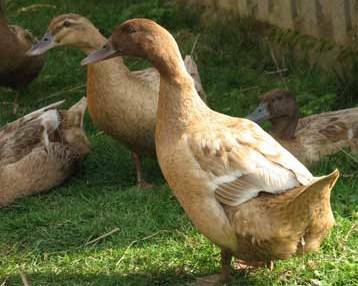 The resulting color, not quite buff, reminded her of British army uniforms, so she named these new ducks "Khaki Campbell." Khaki Campbell’s are a medium sized bird, weighing on average 4 to 4 1/2 pounds. Females have seal brown feathers with bronze beaks; the drakes have dark green heads with orange beaks and bronze backs and tails. Campbell’s have a slightly upright posture with a long, slender neck, a fairly long clean-cut face, and head held high – when they stand up tall to survey their surroundings they remind me of meerkats! 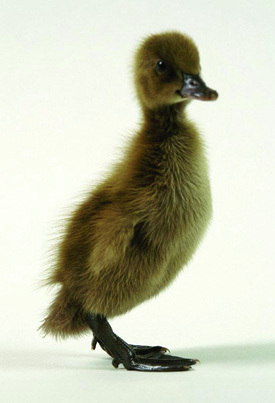 Campbell’s are a bustling, hardy little duck able to withstand cold, hot, humid, or arid climates all very well. 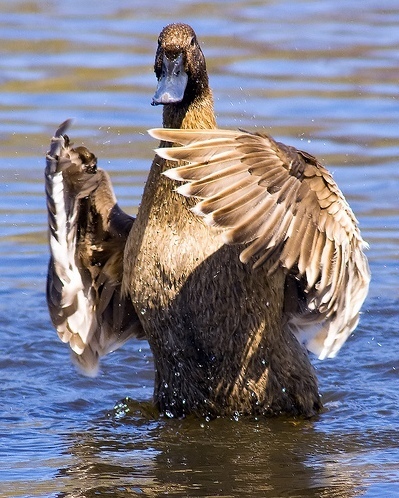 These ducks have proven to be amazingly adaptable… they’re sprightly and have a good temperament; always on the go looking for bugs, swimming, and exploring! These busy birds are a great backyard addition... slugs and snails eating your salad greens? Old country lore says: "There is no such thing as a surfeit of slugs, merely a dearth of ducks." Though all ducks are ace slug catchers Khaki Campbell's are particularly good at it, they'll even go after slug eggs in the soil. They might also appreciate your salad greens though, so you'll have to watch them. They'll even clear a pond of mosquitoes in no time... they really do love water but manage to stay in a sloshy-splashy good humor even when water is only in buckets and bowls. Most Campbell’s lay their first eggs between 5 – 7 months old and will average 280 eggs per year (more in the first 2 years) and, with proper management, will continue to lay well for 4 - 5 years. 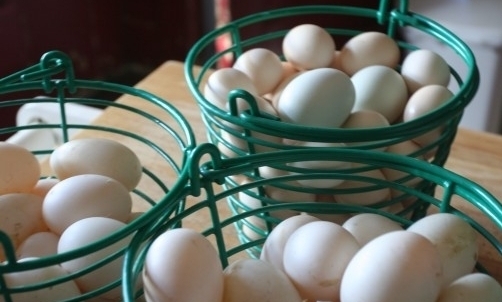 Campbell eggs have pearly white shells and weigh about 2.5 ounces, which would grade it as "extra-large". They are of superb flavor for eating - anyone who tells you they don’t like the flavor of duck eggs has obviously never tasted a pasture raised Khaki Campbell duck egg! 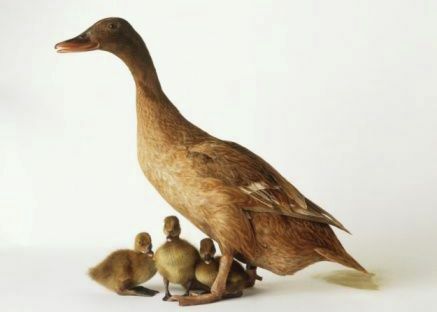 Despite being good egg layers, they aren’t the mothering type so they’re not dependable for hatching ducklings. Though some Campbell ducks might decide to go broody, it doesn’t happen often. To add more Khaki Campbell’s to your flock, artificial incubators are a good option or just put a few of the eggs under a nesting Muscovy. The Muscovy will hatch them, and look after the ducklings along with her own… just remember that Muscovy eggs hatch in 35 days while Campbell’s hatch in 28 and the mother will expect them all to pip out on the same day.